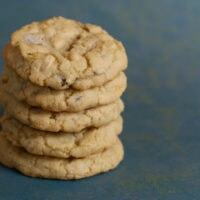 Oatmeal Peanut Butter Chocolate Chip Cookies are like having three cookies in one! 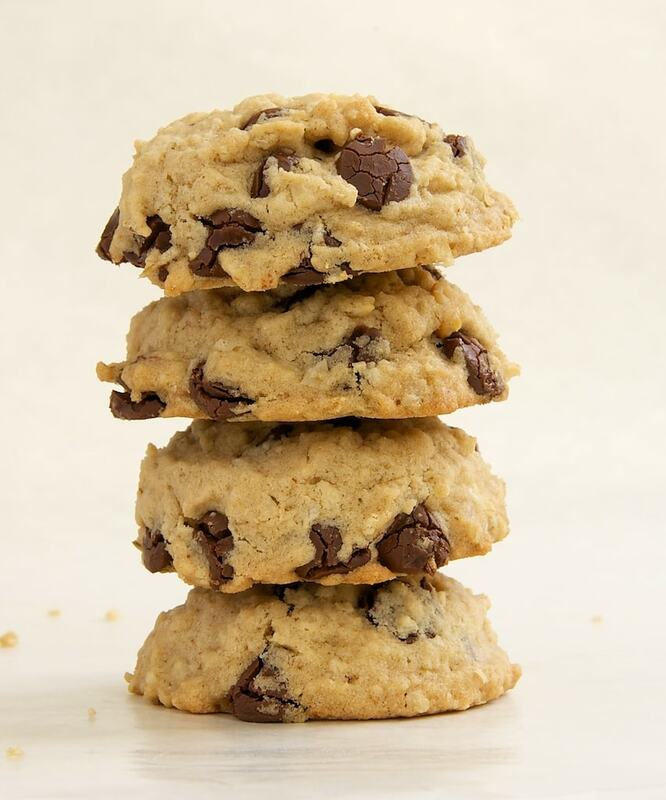 These soft, chewy, all-out delicious cookies are completely irresistible! I have been thoroughly immersed in baking with fruit this summer. I’ve had so much available to me that it’s been tough to do anything but use it. Not that I’m complaining. All that fresh fruit is one of the very few things I enjoy about summer. But, I haven’t had much time for baking with anything else. 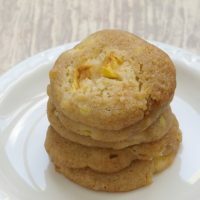 As I was trying to come up with an idea for using the latest round of CSA peaches, I suddenly had an overwhelming urge to bake up one of my great baking loves – cookies! Granted, I did just make those Peach Drop Cookies. But, I’m talking something a bit more in the traditional cookie sense. I was having quite the internal debate over what kind of cookies to make. Chocolate chip? Oatmeal? Peanut butter? How about all three? Yes, let’s definitely do that. These cookies are soft yet still manage to be chewy. 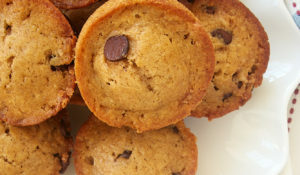 They are so very good anytime, but a warm one with melty, gooey chocolate chips is particularly amazing. Despite being three kinds of cookie at once, these cookies don’t suffer from an identity crisis. 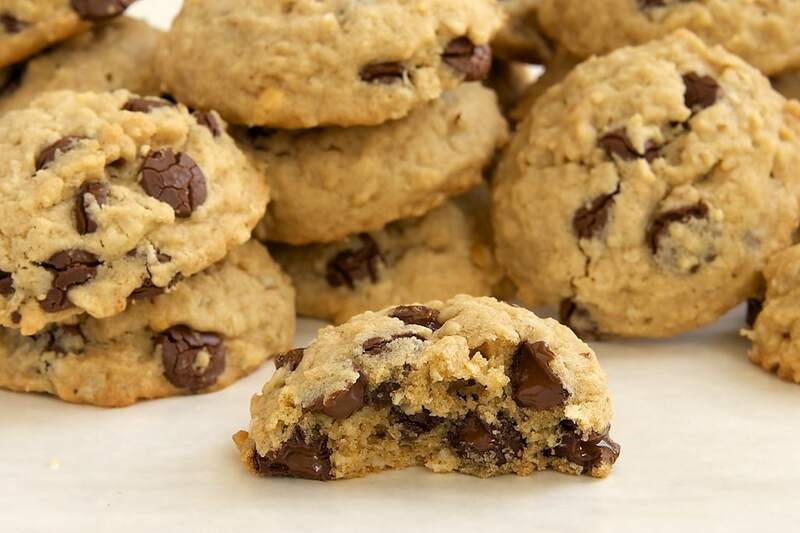 Whether you call them Peanut Butter Chocolate Chip Oatmeal Cookies, Oatmeal Peanut Butter Chocolate Chip Cookies, Peanut Butter Oatmeal Chocolate Chip Cookies, or The Best Cookies EVER, all three components work well together to make a ridiculously good cookie. Plus, they make a big batch, so you’ll have plenty to share while keeping a little stash for yourself. 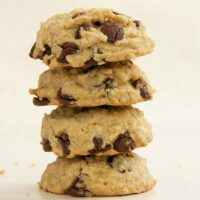 Oatmeal Peanut Butter Chocolate Chip Cookies combine three favorite classic cookies into one really, really good cookie. Preheat oven to 350°F. Line baking sheets with silicone liners or parchment paper. Whisk together the flour, oats, baking soda, and salt. Set aside. 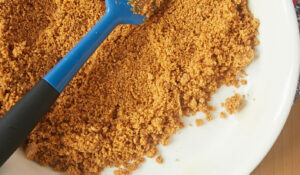 Using an electric mixer on medium speed, beat the butter, brown sugar, and sugar until light and creamy. Add the peanut butter, and mix until combined. Add the eggs and vanilla, and mix until combined. Cool the cookies on pan for 5 minutes. Then, transfer the cookies to wire racks to cool completely. 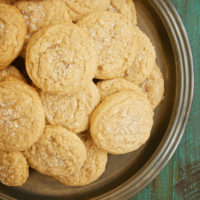 *I used a tablespoon-size cookie scoop and got a full dozen more cookies than the original recipe’s yield. **Either kind of peanut butter will work, so just go with your preference. I used a combination of creamy and crunchy because, well, I didn’t have a full cup of either in my pantry. I’s been far too long since I have baked cookies! Been all about ice cream lately. These cookies look fabulous! I just need a big glass of milk! 3 of my favorite ingredients all wrapped-up in one cookie! It will be best if I make half a batch and the recipe will be easily to do so. As always, Jennifer, your photos are positively exquisite! I must try these cookies ASAP! Do you think I could make them in bar form? Thank you! Thank you, Kendall! I think these would work as bars. There’s a lot of dough, so I’d try a 9″x13″ pan. The cookies are soft, so the only issue would be if the bars would be sturdy enough. OK, I’ll get on it! I am in AWE of how thick these are! The perfect cookie. These cookies look just incredible — so thick and packed with so many things I love! Oh my, these look so chewy and delicious! I love this combination, and cant wait to bake these cookies!!! You can’t go wrong with a classic like these. What I wouldn’t give for a couple to go with my afternoon tea! PS. I’m loving the new look! Too much vanilla extract, is it really 2 TABLEspoons? Dee, that’s right. This is a big batch recipe! These look so good! Seriously made me want to make some cookies now! It would be great if people would make the recipe first before commenting. I am sorry to report that we thought they didn’t have much flavor. I made them without altering the recipe at all. I had to add peanut butter frosting to give them some taste. They were nice and moist though. I’d suggest if anyone wants to try them to make half the recipe first. The recipe makes a lot of cookies. 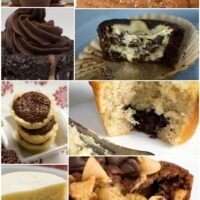 Some of your other recipes that I’ve tried have been very good and I’ll continue to try them. So thanks for sending out the newsletter. I just made these. They are fabulous. So addictive. 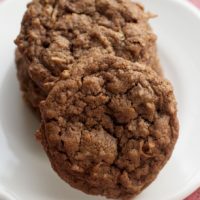 They really are oatmeal cookies AND choco chip cookies AND peanut butter cookies — best of all three worlds. Thanks for this recipe. I’m going bake another batch tomorrow for a friend. I NEVER have had a cookie turn out exactly like the pictures but this one sure did! All that butter and no spreading. Excellent recipe! I did only use 1 tablespoon of vanilla because I use double strength Mexican vanilla – soooo yummmy! I used 2 teaspoons of vanilla. 2 tablespoons seemd like way too much, just couldn’t bring myself to do it. Let me know if that measurement is accurate and I will try it. I also ommitted the choc. Chips and added peanut butter m&ms. They were s big hit. Hi, Gina. 2 tablespoons is correct, but feel free to dial it back if you like. Keep in mind this is a really big batch of cookies, so that much vanilla shouldn’t be overwhelming. Hi Jennifer! 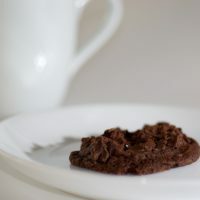 I wanted to share with you that these cookies are my pastry-chef-husband’s new favorite for me to make him. Thanks for making me look good! 😉 And btw, yumm!! My son requested cookies with his birthday dinner, instead of cake. I found this recipe and tried it. Wow they are amazing!!! I might have to make another batch because they were a big hit with everyone. Thanks for this faboulous recipe.PS.. I followed the recipe completely and they came out perfect. These cookies came out great! I used half chocolate chips and half raisins and everyone loved them. Can I use oil instead of butter in the recipe? You can, although it will very likely change their texture a good bit. I’ve not tried oil in this recipe, but I would use about 75-80% of the amount of butter listed. Would it matter if I used Old Fashoned Rolled Oats instead of Quick Cooking?? Just asking, that’s what I have! Hi, Denise. They are generally interchangeable, so it should be fine. Why my dough so dried and I have to press hard to form the shape. This is quite big portion. If 1st time bake, half of the portion will be better. I reduced the chocolate chips by 1/2 cup and added some coconut! Thanks for the GREAT recipe! My New Years resolution is to make a different kind of cookie every week! These cookies are wonderful! My new favorite… I love the combo of oatmeal, choc chips and peanut butter. Full of flavor and perfect thickness and texture. I used whole wheat flour and put the dough in the fridge for a few hours before baking. Delish!!! They bake up perfect and don’t spread. These would probably be good with Hershey kisses snuggled on them after they bake too! Can you substitute wow butter for the peanut butter. I want to make these cookies for school but it’s a peanut free school . Hi, Joanne. I’m not familiar with wow butter, so I can’t give you a definitive answer. My suggestion would be to follow the product’s guidelines for substitution. I made these cookies for dinner tonight and my husband, toddler, and two dinner guest fully voted that they were delicious! Thanks for the delicious and easy recipe! Just made these and they are DELICIOUS!!! I found the recipe on Pinterest and was not disappointed. This is the perfect cookie – a little crisp on the outside from the PB (I used crunchy, yum!) and soft but still chewy on the thick inside. THANK YOU!!! This is going to become one of my go-to recipes! 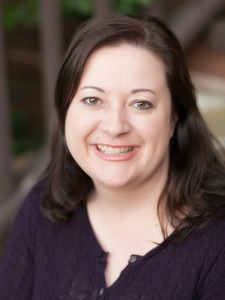 Angie, I’m so glad you liked them! They’re one of my favorites! Just made a half batch of these and used an ice cream scooper to portion the cookies. It made about 12 giant, delicious cookies. I also used dark chocolate chips. Love that these aren’t overwhelmingly sweet and come out so round and fluffy! This recipe is a keeper! Perfect cookies! I made these yesterday and followed to the recipe to the “T,” including all the vanilla. Half semisweet, half milk chocolate chips. Refrigerated a bit prior to baking and in between batches (it’s really hot here). I used a #60 scoop (a slightly rounded tbsp) and made exactly 6 dozen. Delicious, soft and perfectly sized. Dough was tough to resist…Great recipe and a keeper! Thanks, Jennifer!! I made 66 of these today. They are absolutely scrumptious! I never seem to have unsalted butter on hand, but have all the other ingredients. Is there anything I need to adjust in the recipe if I use salted butter? You’ll just need to decrease the salt in the recipe. Unfortunately, there’s no standard for how much salt is in different brands of salted butter, so I can’t give you an exact amount. Just adjust according to your taste. 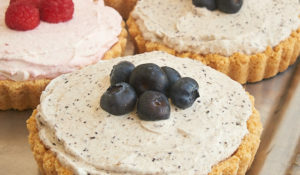 I made these today using King Arthur Gluten Free All Purpose Flour and a reduced amount of vanilla (personal preference – 2 tsps) and they turned out great! I was worried at first because the dough seemed kind of dry and crumbly after being refrigerated overnight but it held together when I formed and baked the cookies this morning. Delicious!